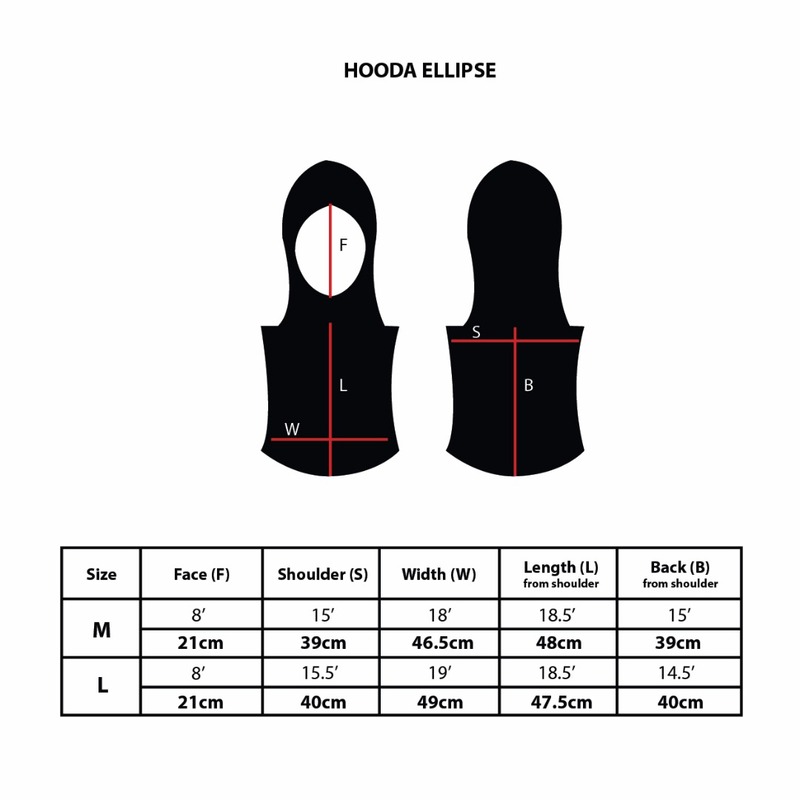 If you are looking for a non flipping hijab for dry activities, then look no further. Made of light weight material and really soft fabric. The cutting and trimming are really well made. NOTE: The fabric is NOT suitable for wet activities like swimming etc. It is too flimsy for those kind of activities. They have a different hijab for that. The product is very nice. 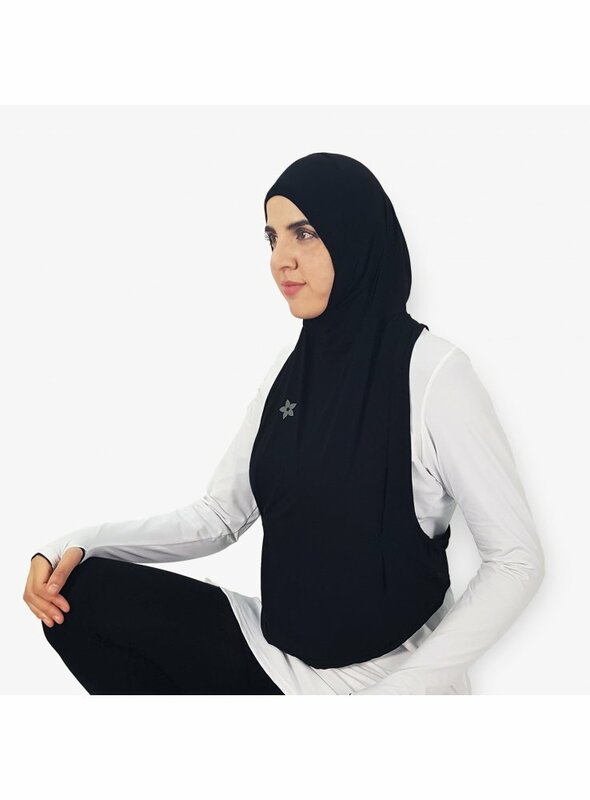 The material is breathable and i feel very comfortable wearing it while doing Yoga. Will defitely order again. So far, this is my favorite sports scarf along with the razglove. It is just easy to wear and very light. I can wear it under clothes or on top. Styling it is not a problem. The material is nice and soft, specially when running. I love it when I do any inversions like Headstands. I don't have to worry about my neck showing when I flip upside down. 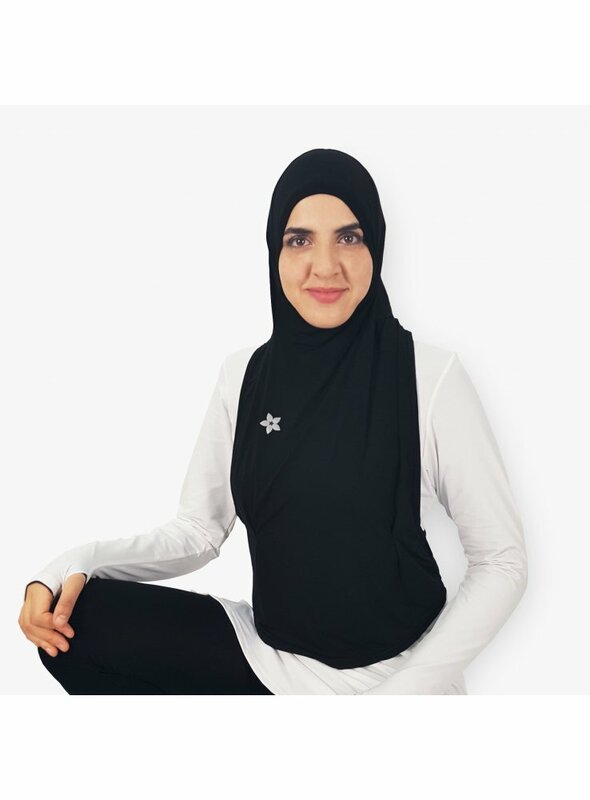 The best sports hijab ever invented, I must say. Non-flipping with style, comfort and grace. The material is so soft & light but the cut makes it stay put. Aesthetically, it compliments a woman's look and modesty. Suitable for all activities. It is my favourite sports hijab to date. I've seen imitations but nothing comes close. This is my most favorite hijab ever purchased. The design is so innovative. I enjoy the fact that it covers my chest and not just my head and neck like other hijabs. And even with all of the coverage it is extremely light and comfortable. I am able to keep cool in the breathable fabric. I use this while cycling, running, standup paddleboarding, crossfit and karate. It's thin enough to wear under a shirt also if you need too. This is my go-to piece!! I could not find a product like this anywhere else! It is perfect for doing Jiu Jitsu as well as any other kind of Martial Art. I don't have to worry about getting too hot, having my hair come out the back, or having the hijab fall off when I move around. Plus, it looks fine too. 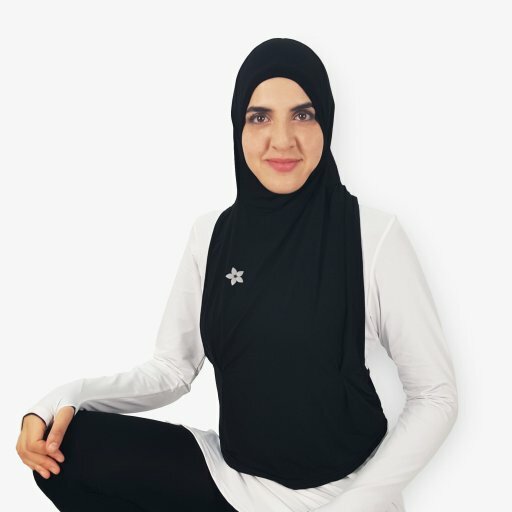 Some sports hijab made me self-conscious because they made my head look so weird! Thank you for this design! I love love love this hijab! The material is very lightweight and the face opening is very much stick on my face without I have to worry about having hair coming out. 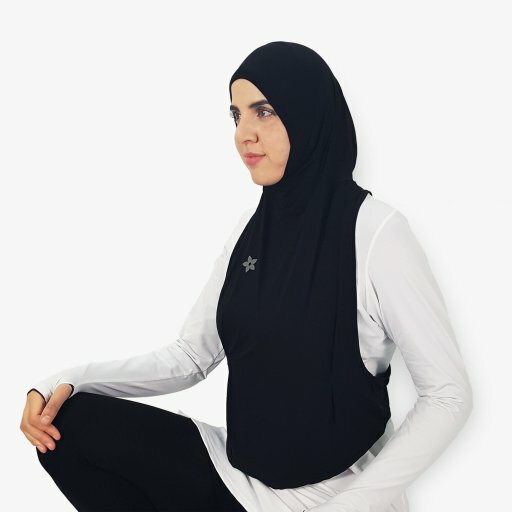 The design itself helps me to workout without needing to worry about my hijab flipping especially during those burpees and jumping. HIghly recommended! If you a runner, you should have this hijab. Its lightweight and very comfy as you run as a cloud runner. I love this hijab and cover me perfectly from wind.. beautiful design as you can run in style!